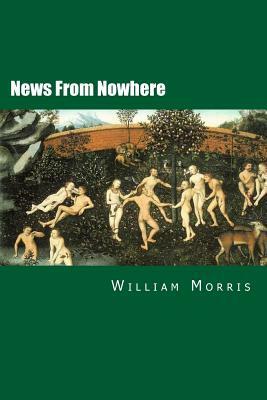 News from Nowhere is the best-known prose work of William Morris and the only significant English utopia to be written since Thomas More's. The novel describes the encounter between a visitor from the nineteenth century, William Guest, and a decentralized and humane socialist future. Set over a century after a revolutionary upheaval in 1952, these "Chapters from a Utopian Romance" recount his journey across London and up the Thames to Kelmscott Manor, Morris's own country house in Oxfordshire. Drawing on the work of John Ruskin and Karl Marx, Morris's book is not only an evocative statement of his egalitarian convictions but also a distinctive contribution to the utopian tradition. Morris's rejection of state socialism and his ambition to transform the relationship between humankind and the natural world, give News from Nowhere a particular resonance for modern readers.